This entry was posted in Images+Maps. TO THE PRESS AND PUBLIC! 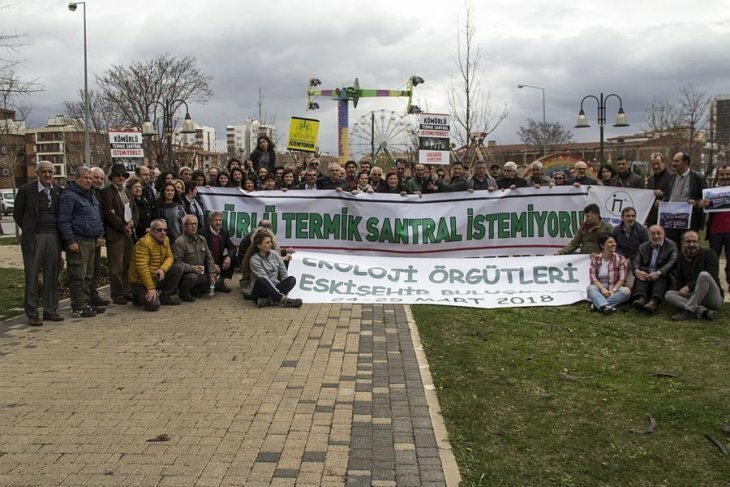 On April 16, 2018 in several cities at the same time the foundation of the “Ecology Union” has been done. After months of preparations 56 organization all over from the Republic of Turkey agreed on principles and coordination for common objectives. A dam nearing completion in southeast Turkey will soon displace residents of an ancient settlement, but many of them will be ineligible for relocation and have been given nowhere to go, reports Diego Cupolo. (Türkçe) Basın Açıklaması: Hasankeyf boşaltılmak isteniyor! 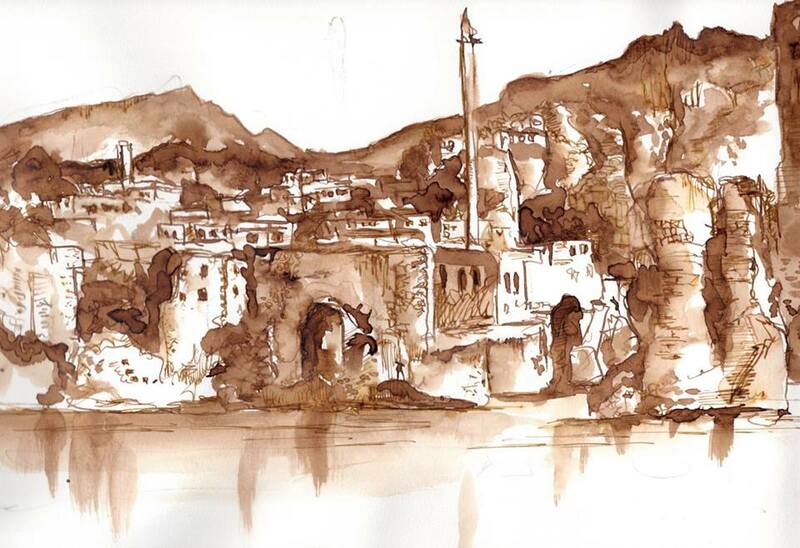 Stop the destruction of Hasankeyf and Sûr! 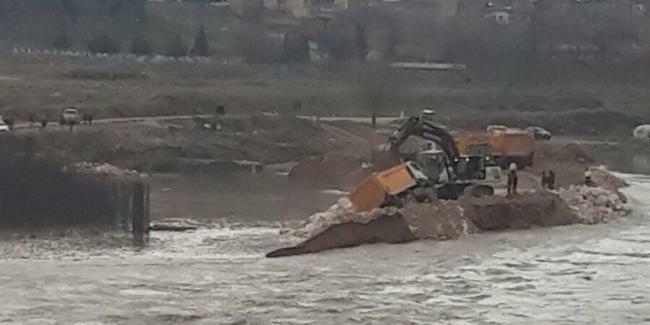 Floods in the Tigris River have broken the small length dam in Hasankeyf which has been built by the Ilisu consortia for the relocation of monuments and other “destruction” works in Hasankeyf. what a nice day!!! 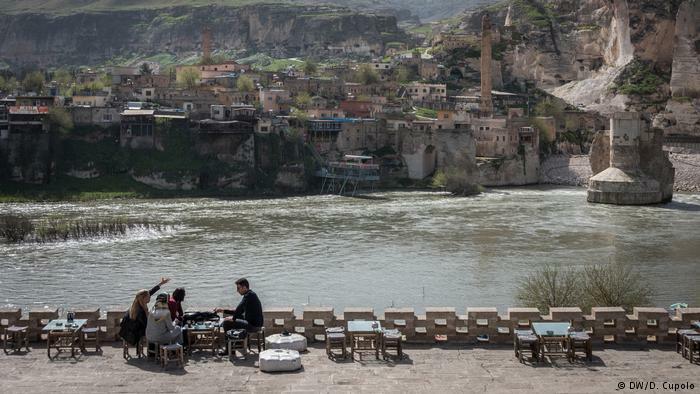 Environmental and heritage destruction have accelerated in Turkey’s historic city of Hasankeyf as crews work day and night, seven days a week to collapse vulnerable portions of the cliffs ringing the town and fill in some 200 caves. 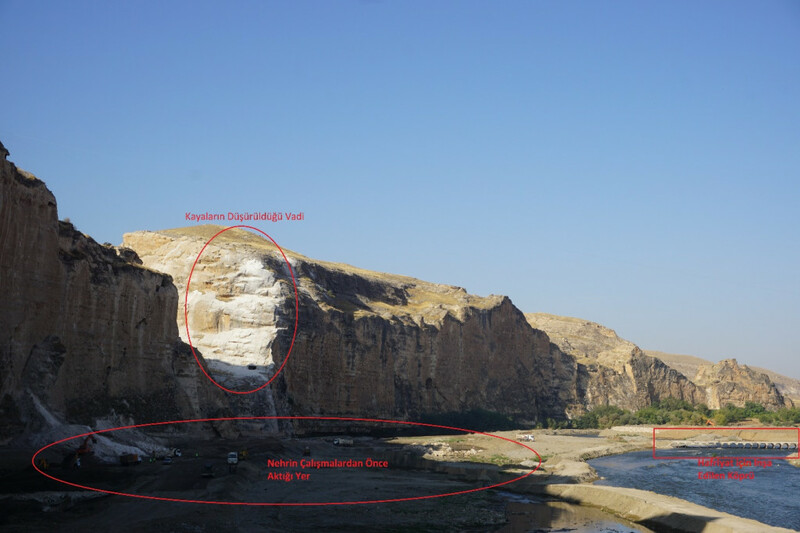 The work’s stated aim is to reinforce Hasankeyf’s ancient citadel ahead of completion of the Ilısu Dam, which would flood most of the town beneath approximately 60 meters of water. Preparations are also being made to construct a wall to cover the cliff face of the citadel mount. And a new road is being built across the Tigris River to haul equipment and rubble to and from the work site, significantly altering the course of the river and severely reducing its water quality. Join Petition to Bresser and Er-Bu! 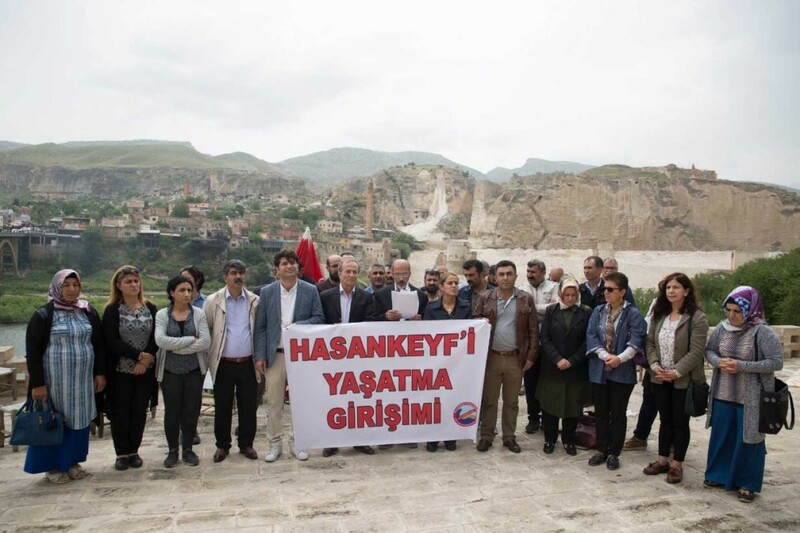 Withdrew from relocation project of monuments in Hasankeyf! 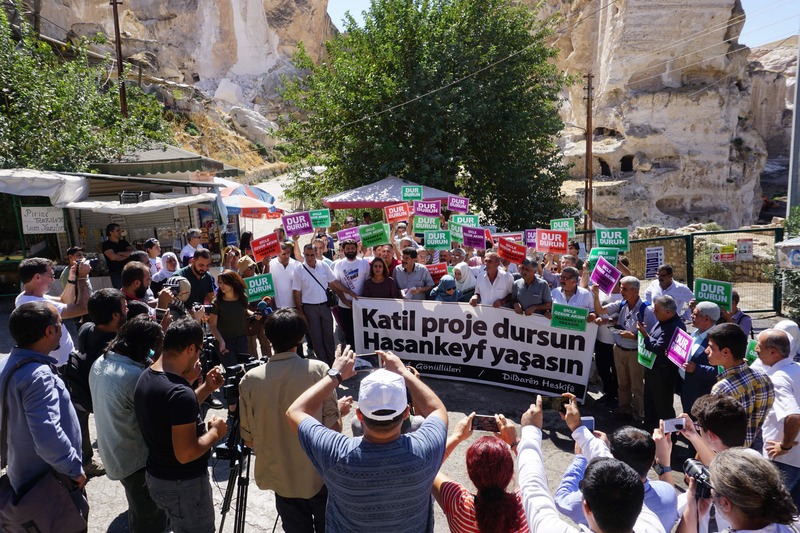 Join a new petition by the Mesopotamian Ecology Movement which requests from the Dutch company Bresser and Turkish company Er-Bu Insaat to withdrew from the relocation project of monuments in Hasankeyf! Download the following file, print it and collect signatures! The petition will continue until end of November! Send the collected signatures to: ISKU, Spaldingstr. 130-136, D-20097 Hamburg, Germany! Worldwide actions for Hasankeyf! Stop Ilisu Dam! 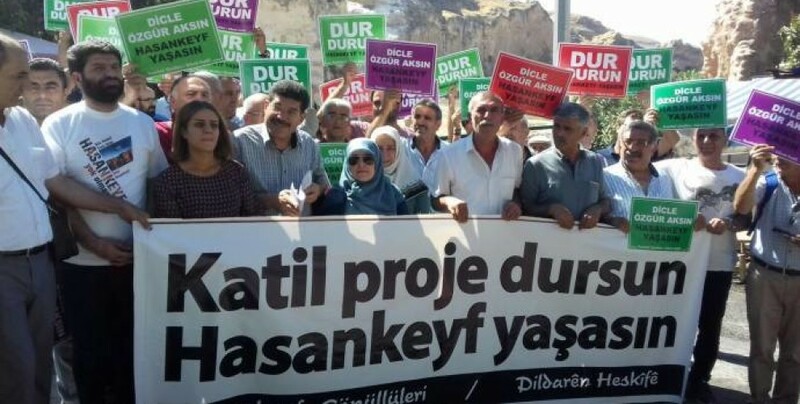 Today in more than 15 cities actions have been organized against the Ilisu Dam at the Tigris River, one of the most worldwide controversial dams. If completed the Ilisu Dam and Hydroelectric Power Plant Project with its expected grave social, ecological, cultural and downstream impacts would become a large scale disaster.